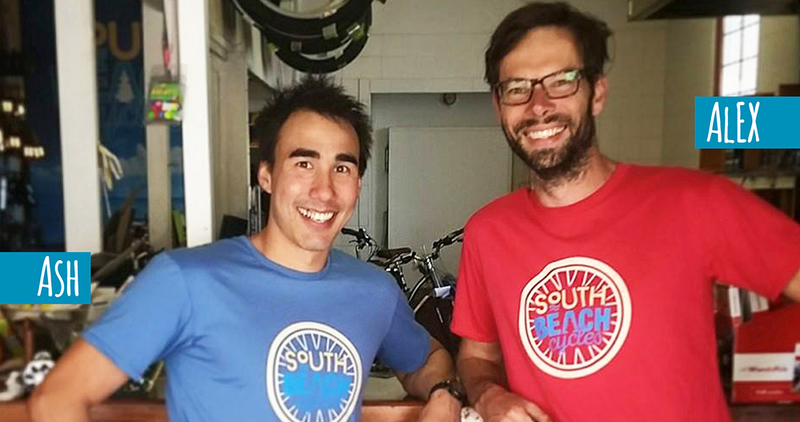 Welcome to South Beach Cycles, where we specialise in all things bike! 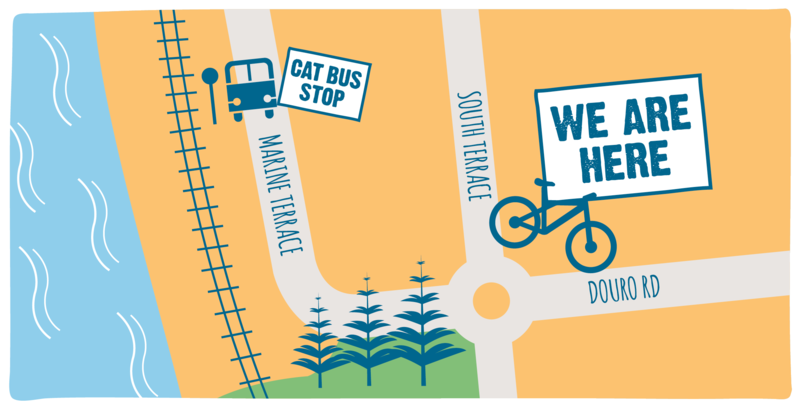 Visit us today in our South Freo shop for bike sales, servicing and hire! Ash and Alex. Two laid back biking guys from way back. With over 30 years of shop experience between us, there’s not much we haven't seen. A dying breed the owner operator. If you shop with us, you're supporting two young local families. Alex has three kids and Ash two of his own. As a family owned and run bike shop, we stock bikes for families. No carbon road bikes here, and not a scrap of lycra to be seen. We want to be a store where the everyday person can come in and find a bike for themselves. We also see the advantage of e-bikes, and are more than happy to embrace the future of biking. We are Perth's exclusive cargocycles.com.au stockist, and love everything cargobike. On top of all our bikes we stock a huge range of cycling accessories including helmets, lights, baskets, locks and more. Come in and check out our huge range of children’s seats, helmets and gear. From the youngest member of your family to the teenage shredder! Take the kitchen sink! Whether its 1, 2, 3, or even 4 kids, Dogs (big or small), a new mobile business, or whatever else you can think of, we have a bike that will take it. Stocking a large range of bikes from Yuba, Babboe and Trio, and access to the full cargocycles.com.au range, South Beach Cycles has got you haulin'. No job too big or too small, come and chat to us about what your bike needs. We can service all makes and models, and shapes and sizes, new or old. We've been fixing bikes for so long now that if we haven't seen, it probably hasn't happened. Give us a call, or come in to discuss your bike servicing requirements. Holiday in Freo? Rellies coming over? Why not take a bike ride up to Cottesloe, or explore along the Swan River banks. Why not both, and more. All of our bikes are meticulously maintained, and are supplied with a helmet and a bike lock. Check out some of our recommended day trips, or ask us about longer options. 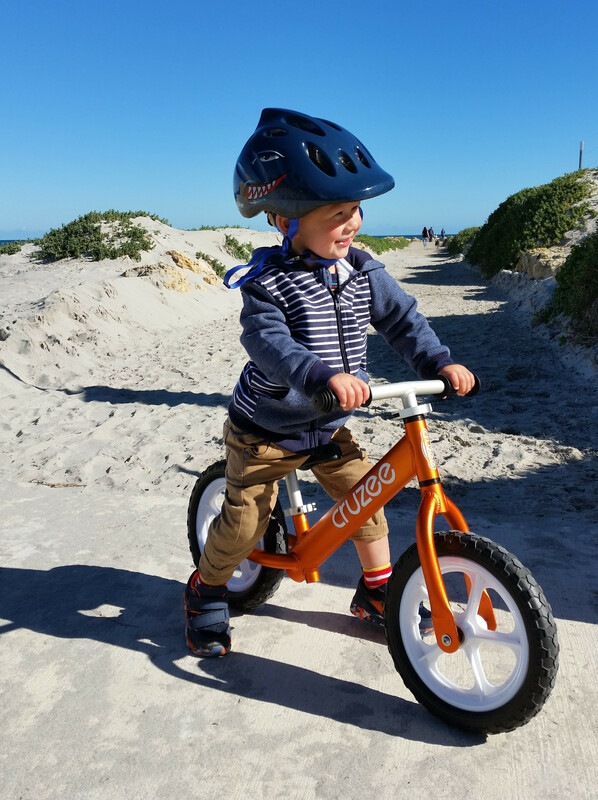 KIDS BIKES, CHILD CARRIERS & TRAILERS AVAILABLE! Cycling and Coffee. Like Hansel and Gretel, like thunder and lightning, like macaroni and cheese. You can't have one without the other. That's why we are so proud to have Third Wheel cafe right next to us. South Freo's go to cafe for caffeine lovers.